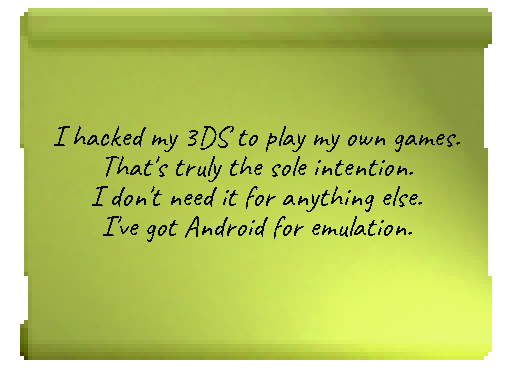 I hacked my 3DS to play my own games. That's truly the sole intention. I don't need it for anything else. I've got Android for emulation.